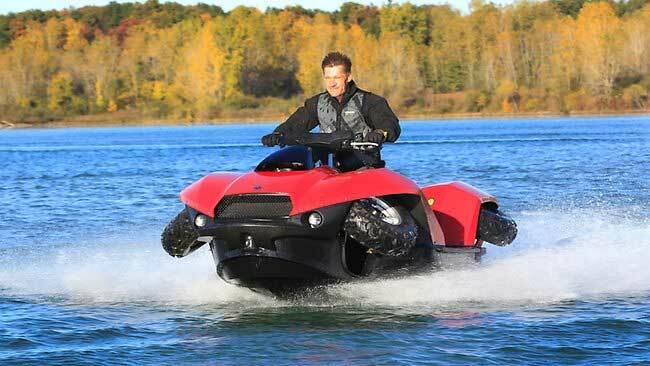 If James Bond ever had the need for an ATV, the Quadski would be it. This device is designed to carry a single rider and can convert between a four-wheeler and a Jet Ski style device. It converts at the press of a button for operation on land or water. One of the coolest parts about this vehicle is that it can travel at 45 mph both on water and on land. Power for the ATV comes from a BMW four-cylinder engine. The vehicle can be driven straight into the water and the wheels retract at the press of a button. The biggest problem I see with this device is that the MSRP is expected to be around $40,000. You can buy very nice new car for that much money and with the global economy the way it is I don’t see many people spending $40,000 on something that is nothing more than a toy.